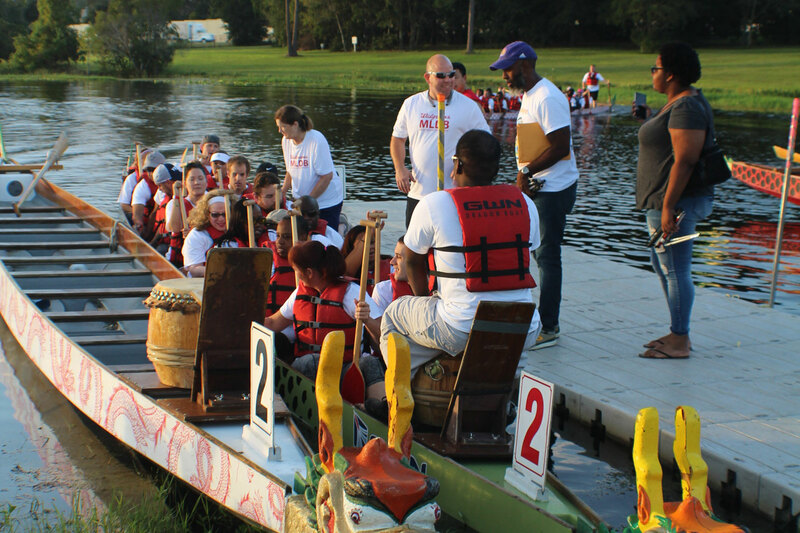 Lighthouse Central Florida first participated in the Walgreens Orlando International Dragon Boat Festival event in 2016 with community partner, SunTrust Bank. Lighthouse competed in the mixed team category—meaning our crew of paddlers consisted of a minimum of 10 female paddlers and 10 male paddlers. Five of the females were visually impaired from Lighthouse and five were sighted from SunTrust. A similar breakdown occurred for the male paddlers. Dragon Boating is the ultimate shared, team building experience. It is inclusive, for all shapes, sizes and skill levels. We are currently exploring new community partnerships for this event. The event takes place annually in October on Turkey Lake at Bill Frederick Park.